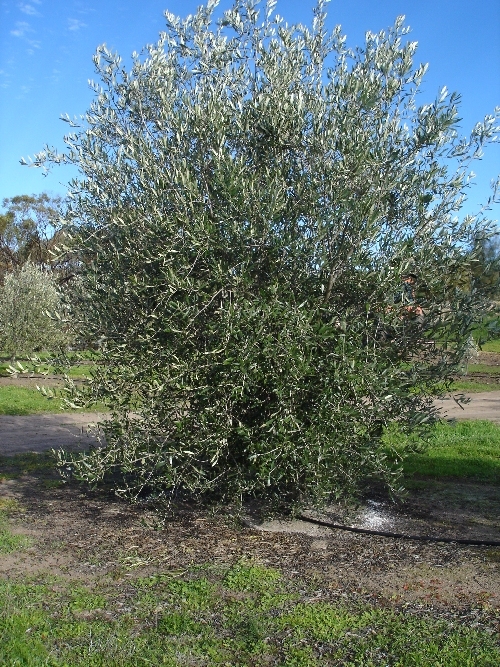 Pruning is essential to olive trees because they always want to revert to their natural bush state. 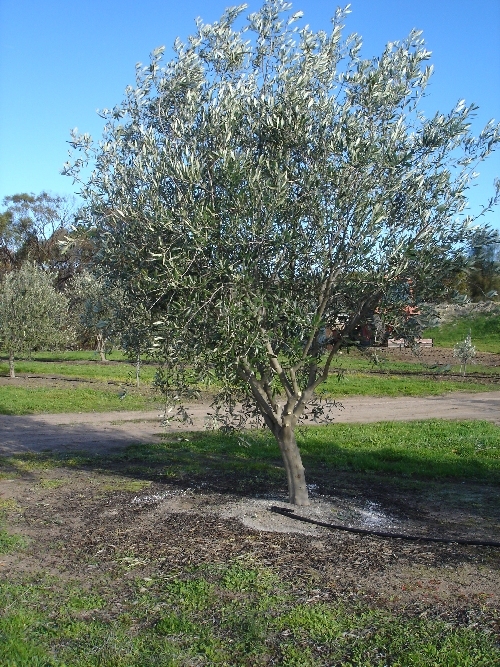 Oleanders are a relative of the olive and you can see in the photo below that an olive tree can grow to resemble its rambling relative. 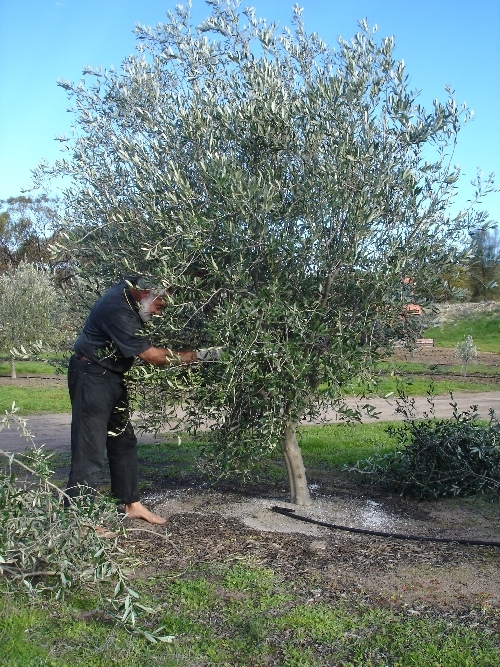 Pruning involves the removal of any growth that will impair sunlight and hinder regular maintenance and harvesting access.